Fundraising is fun with Mobile Physio! South West Surrey Mobile Physiotherapy Service (SWSMPS) was founded in 1947, which means it pre-dates the NHS. 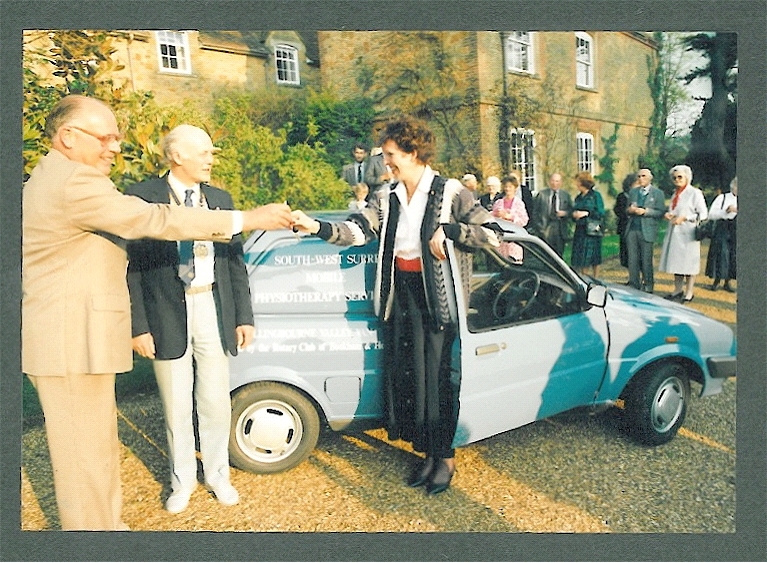 At that time, it was difficult to access physiotherapy in rural areas and so Lady Daphne Heald of Chilworth Manor, along with friends and colleagues, set up the SWSMPS to address this problem. Twenty years after it began, the service was covering more than 70 villages in the valleys of the Tillingbourne and the Wey, and the service’s five physios were travelling 14,000 miles a year to reach around 700 patients. SWSMPS took on other caring roles as the physios visited the patients in their own homes, keeping a watchful eye on their patients so that they could sound the alarm when all was not well. Initially, the work throughout the villages of South West Surrey was completely funded through donations. In time, SWSMPS was awarded a contract with the NHS to supply physiotherapy to this same geographical area, but NHS funding continued to be supplemented by donations and fundraising, as it still is today. By the time Lady Heald died, in 2004 – still Chairman at the age of 99 – the name had been simplified to Mobile Physio, and its physios were primarily working out of local surgeries. This arrangement gives the physios easier access to specialist equipment and to local GPs, and enables them to use a greater proportion of their time in treating patients rather than negotiating the winding lanes of rural Surrey. However, the domiciliary work still represents an important part of the service. Taking possession of a new Mobile Physio van. 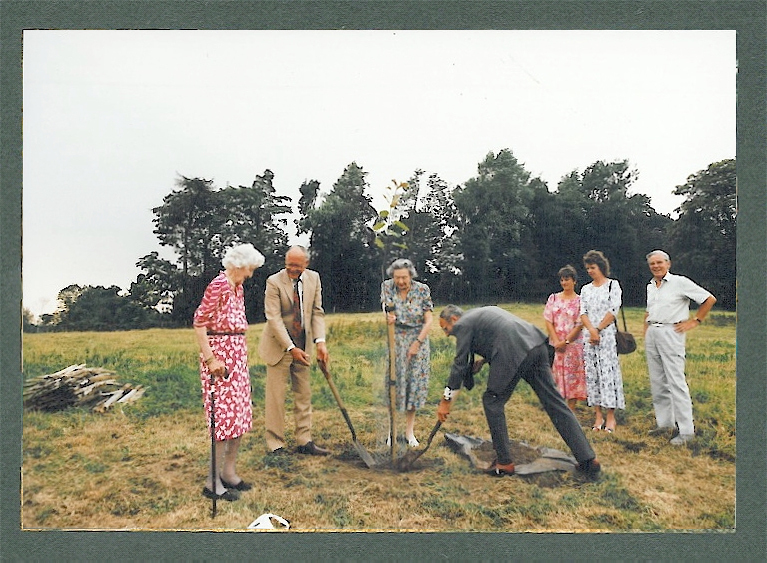 1979: Lady Heald participates in planting a commemorative red oak in the grounds of Chilworth Manor. Mobile Physio, a registered charity, is constituted by trust deed and managed by a Board of Trustees, with a small amount of administrative support and a team of voluntary fundraisers. Please see Who's Who for more information. "Thank you for sending me to physiotherapy. I know my back pain would never heal without the treatment I have received. I am very grateful."